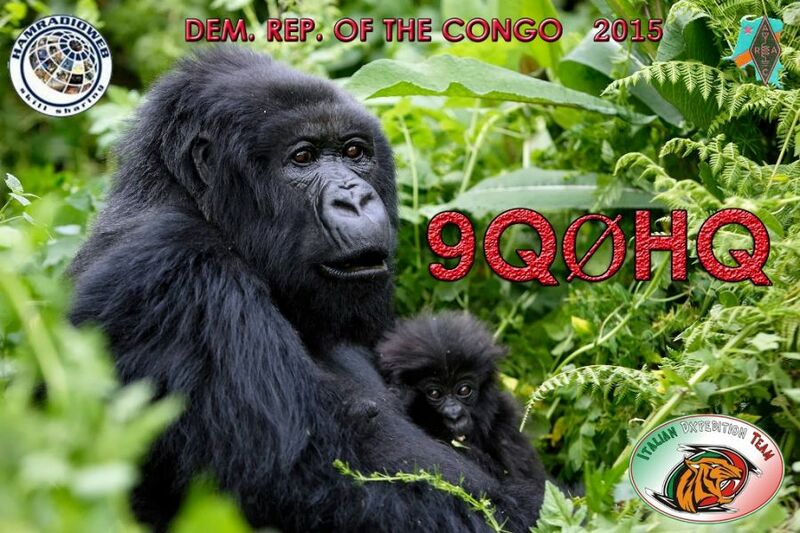 I2YSB, IK2CIO, IK2CKR, IK2DIA, IK2HKT, JA3USA, I1HJT will be active from Democratic Republic of Congo 10 - 25 March 2015 as 9Q0HQ. They will operate on 160- 6m CW, SSB, RTTY. Democratic Republic of Congo is also known as Congo. The country is Central African Republic. It borders on north with Uganda, on East with Tanzania and on the south with Zambia and Angola. Congo has a population over 75 million. It is the Francophone country and the 4th most populous in the continent. The civil war in Congo started in 1996. The reign of Mobutu Sese Seko ended after 31 year of ruling the country. He had brought devastation to Congo with bloody war that killed approximately 5.4 million of people. UN peace keepers were sent to Congo during the war. Malaria and pneumonia became common illnesses and along with malnutrition caused almost 95% deaths among the population. The overly dense living conditions make the situation even worse. And what’s more, the victims are children under 5. With the low level of development, Congo becomes one of the countries with most prominent malnutrition problem. There are historic evidence of human existence in territory of Congo as far as around 80,000 years ago. The discovery of harpoons in the land was a proof that the people were fishermen and they caught catfish in rivers for food. Historians believe that Bantu ethnic was the first settler in Central Africa. The 5th century civilization started to expand larger. The Stone Age century was slowly replaced by Iron age. People began to work on iron tools and made daily utensils out of the iron. People lived in the south and they call themselves the Bushmen and hunters. They used minimal technology of metal to harvest crops and cut the animals. In the 10th century, it was the final year of Bantu people in West central Africa. The foreign trades had created a new way of living in Africa. Most of the goods were copper, salt and iron. The Belgian explorer arrived at Congo in 1870. Sir Henry Morton Stanley was the first person who administered the country under the sponsorship of his Belgian king. The region was disrupted and slavery was massive. People from Arab were sent to Congo to be slaves and some of them also became traders. The Congo became a colony and after a thorough negotiation, he became the chairman and an Europe rival. The territory of Congo was acquired vastly and in 1885, the land became his private possession. Leopold built projects and railways to the capital named after his, Leopoldville. The projects increased and so did the assets. The free state had made a hard life for the local as they had to work day and night to produce rubber. The rubber tires were produced to meet the demand of international market. The sales made fortune for Leopold family as he was able to build various constructions to honor himself. During his reign, Congo people suffered from diseases and the deaths of thousand people have declined the population of Congo. The Belgian was reluctant to move out due to international pressure and finally gave away Congo in 1908. The parliament finally decided that Congo should be released of the Belgium. Congo demonstrated Belgian legislator and the Leopoldville was declared as capital city. The Belgian economy has created colonial expansion with priorities like education and healthcare became vast majority. Congo has a tropical climate and the river of Congo dominates the region. The rainforest is wide and the river has occupied most of the land. Congo fertile ground was in Albertine Rift Mountains. There are two big lakes Lake Mweru and Tanganyika. The Ubangi river runs to the Malebo Pool and narrows down to canyons deep in the wood. As the largest watershed in the world, the river stretches 37 km on the north bank coastline. Since the wildlife is at its natural form, congo has loads of biodiversity. 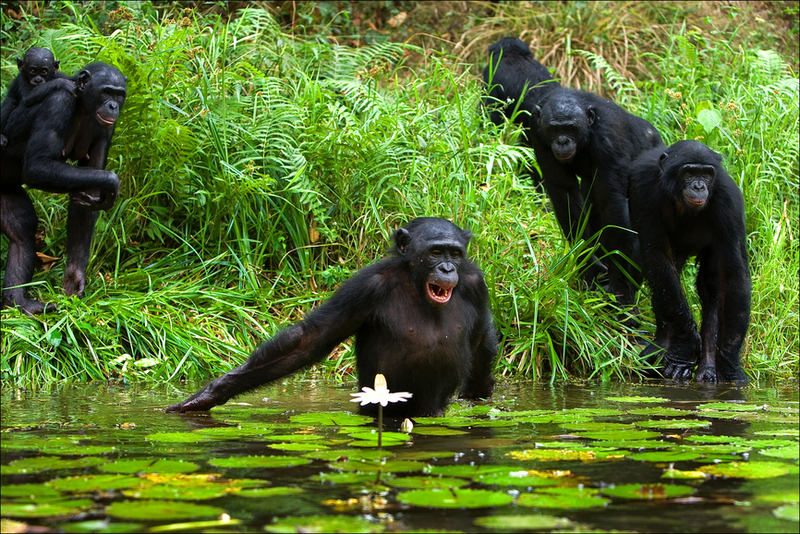 There are endemic species like Chimpanzee and Bonobo. 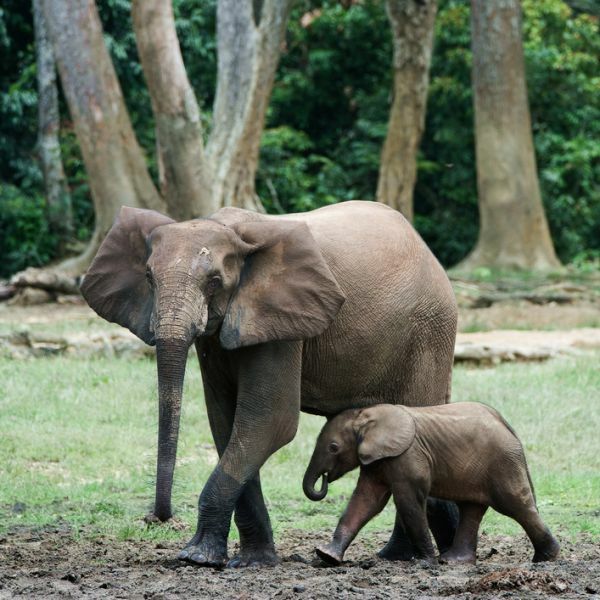 African elephants, gorilla, and white rhino are preserved in the area. Congo mines cobalt ore. Congo is the world largest producer, and the mines are located at Katanga, South Congo. Being highly mechanized, Congo also produces diamonds and copper. The largest diamond producer, Congo has numerous small scale businesses focused on mining. Congo transportation is rather difficult because the climate offers barriers on rails and roads. The enormous distance is the result of economy management plus internal conflict that has not been settled yet. Congo is known as the source of natural foods. Its authentic cuisine is tasty, rich in local spices such as cassava, along with staples of vegetables. This park is named after mount Biega and Kahuzi. It is situated at the river basin of Congo and one of the UNESCO World Heritage. The National Park is protected gorilla environment. Gorillas are endangered species are conserved and monitored by the Congolese Institute for Nature Conservation. You can join Gorilla trekking with the guide by paying some amount of money. The dangerously active volcano has dominated Goma skyline. The massive eruption has destroyed almost 15% of the land. The black lava still covers the homes and civilazation and now becomes one of the tourism destinations in the country. This is a rapids situated at the outskirts of Congo River. Many people come to observe the site and the sandy track is breathtaking for some explorers. The rapids are hard to see from distance but it has an impressive view. You can take taxi from the city to Les Rapides. It is a modernist architecture with an impressive touch of ancient in congo. Built by French man, Roger Erell, he fused the western and traditional concept to build the magnificent Basilique. This has been a great sight seeing for architecture enthusiasts.